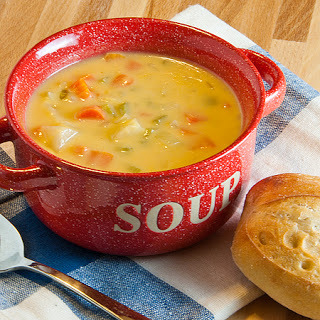 This taste-tested and approved Cheddar Cheese Soup Recipe with vegetables is rich, creamy, satisfying and will warm you up on a cool winter day. Serve this soup with a crisp green salad and crusty rolls or garlic bread for a delicious dinner. If you're a carb counter, you'll love this soup. Just skip the bread. When I have a new recipe I want to make, I ask the restaurant guests to participate in a taste-testing. They are always eager to help out and enjoy being involved in the effort to please them. I appreciate their comments and often adjust a recipe based on their feedback. 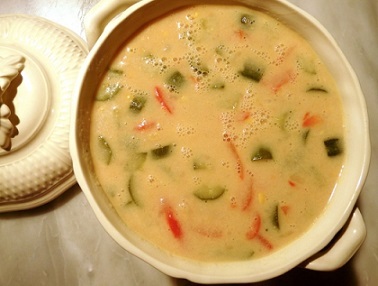 This low carb soup recipe as presented received rave reviews from the guests. You can also vary this soup recipe by using Swiss cheese but my favorite is using a quality cheddar cheese. Carbs: About 15 grams of carbohydrates per serving, assuming 6 servings. Substitute cauliflower for the potatoes and the carbs are reduced to 12 grams. 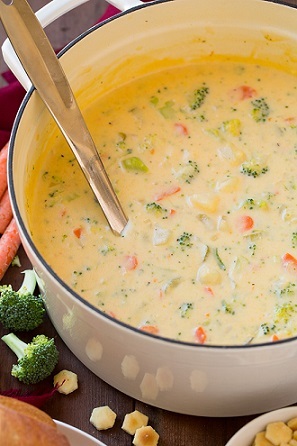 Enjoy your Cheddar Cheese Soup with vegetables and the company of those you share it with!